By James Bishop| In December of 2008 a popular anti-religious blogger known as “The Raving Atheist” announced his conversion to Christianity and changed the site’s slogan to “The Raving Theist,” dedicating it “to Jesus Christ, now and forever” (1). His radical change was met with much anger and bigotry from many within his atheist readership. However, he has rejected any claims of his transition as being a hoax. His conversion has also received harsh condemnation from other atheists, some of whom one would have thought were mature and above slinging school bully insults. PZ Myers, for example, dismissed the Raving Atheist’s conversion as “another mind poisoned” and “throw[ing] his brain out the window” (2). On a last note, since I could not find a name or a photo (3) to put with The Raving Atheist we will be referring to him simply as John (forgive my lack of imagination when it comes to pseudo names). Not long after did John begin his blogging for atheism. John also explains that his philosophy professor, who was quite openly an anti-religious atheist, would have a big influence on him, “In the late nineties I attended a series of continuing education courses in philosophy. The professor, a philosopher who edited and wrote the introduction to Bertrand Russell’s collection of essays, was very sarcastic. He hated religion and religious people. 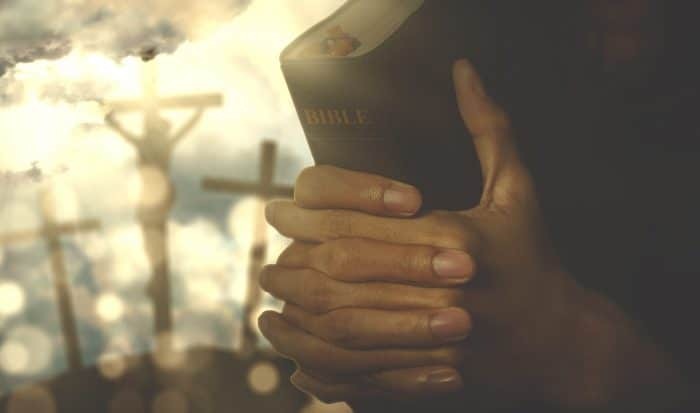 This conversation spurred John to further investigate the issue on Benjamin’s blog, “I noticed that pro-choice Christians did not employ scientific or rational arguments but relied on a confused set of “spiritual” platitudes. More significantly, the overwhelmingly pro-choice atheistic blogosphere also fell short in its analysis of abortion. Nevertheless, he continued his atheistic ravings full force, “In early 2003 I engaged in a particularly venomous exchange with an online Catholic scholar over Thomas Aquinas’s “first cause” argument. In a later, conciliatory gesture, I linked to a post-abortion healing blog favored by my religious adversary—an act that brought me into contact with a group of pro-life advocates whose selfless dedication to their cause moved me deeply. “This decision stirred an angry mutiny among my readers. But I had become convinced that the secular world had it wrong on the very foundational issue of life.” John then became a volunteer at a crisis pregnancy center, “Suddenly I was surrounded by life. Here were people who were kind and loving and who lived out their faith in a very tangible way. The pictures on the walls of the center confirmed this. Smiling babies were everywhere. The tangible expression of pro-life work was life itself. But despite what he thought he had heard John remained skeptical, “My atheistic instincts compelled me to categorize the event as the sort of worthless spiritual personal experience that nonbelievers immediately recognize as a sign of credulity, mental illness, or simple lying. I was ashamed to even pretend to take it seriously. John applied this approach to his consideration of theology in general and, in time, “found it impossible to believe that the universe was created out of nothing. There was order, direction, and love. Those things all pointed to some larger, unfathomable consciousness. I realized I could not believe that human hearts and minds came into being randomly. My eyes were also opened to the core truth of Christianity. 1. The Raving Theist. Christ Is The Lord. Available. 3. Salvo. Great Escapes: How the Raving Atheist Became the Raving Theist. Available. Previous articleWho Wrote The Gospel Of John? Next articleWas The Genesis Creation Story Stolen From Babylonian Myths?